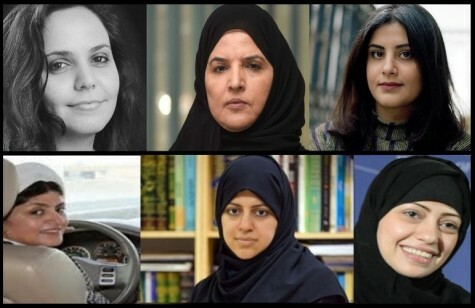 The Gulf Centre for Human Rights (GCHR) calls for the release of all women’s rights defenders in Saudi Arabia, some of whom are currently on trial before the Criminal Court in Riyadh for their human rights work. There are currently at least 13 other women’s rights defenders (women and men) who were arrested as part of a crackdown on women’s rights activists that began in May 2018. Many of the women alleged they were tortured and abused in detention. The trial of 11 women, including nine women’s rights defenders began on 13 March, and following the second hearing on 27 March, three women were freed, including women’s rights defenders Aziza Al-Youssef and Eman Al-Nafjan. The judge indicated that more women on trial would be freed, yet on 03 April, the women were again in court, but not released. The media and observers, including foreign diplomats, were again denied access, and no verdict was announced. The next hearing and possible verdict for some of the women’s rights activists is on 17 April 2019. Prominent women’s rights activist Loujain Al-Hathloul, whose family say they are being pressured to be silent about her case, has again been denied bail, along with Amal Al-Harbi, Hatoon Al-Fassi, Shadan Al-Onezi, Miyya Al-Zahrani, Abeer Namankani, and Nouf Abdelaziz. An Islamic scholar and another unidentified woman are also on trial. All 11 women were brought by the security forces to the second trial session on 27 March which was presided over by a three-judge panel. In this session, the women testified that they were tortured by masked men with electric shocks and sexually harassed during the investigation of their cases. Foreign reporters and diplomats were not allowed in court, but the women reportedly had their family members with them. The judge ordered the defendants to respond to the indictment against them within two weeks, even though they only heard the charges in court on 13 March. They found out that confessions signed during interrogation would be used against them. Communicating with people and entities hostile to the King. Cooperating with journalists and media institutions hostile to the King. Providing financial support to foreign adversaries. Recruiting persons for information detrimental to the security of the Kingdom. Other women’s rights defenders who were arrested last year during the roundup but have not yet been brought to trial include Samar Badawi, Nassima Al-Sadah and Mohammed Al-Bajadi. While welcoming the release of Al-Youssef and Al-Nafjan, GCHR deplores in the strongest terms this mock trial, which lacks all fair trial standards and due process for women human rights defenders who have worked peacefully in the defense of women’s rights in their country, and calls on the international community to intervene immediately to stop this farce, and to ensure all human rights defenders are freed immediately and unconditionally.